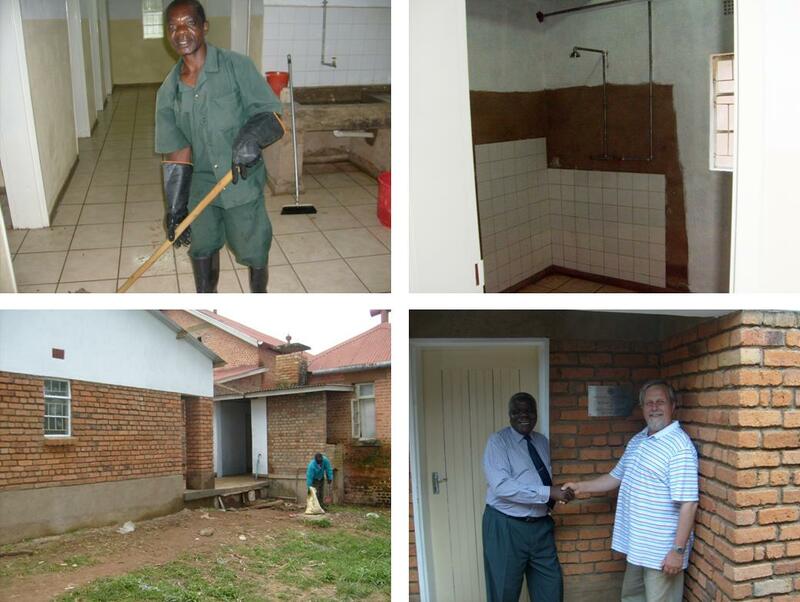 The new male ward toilet and shower block at the David Gordon Memorial Hospital in Livingstonia, funded by Rotary, was completed with the tiling of the floor, painting and plumbing work. The water system is now working. Hot water will be provided by a direct solar heating system.